Thanks to tuition paid by her employer, Mary Jane pursued an accounting degree and learned how to embezzle more than $400,000 in six years. The company discovered her fraud one year after she received her degree. 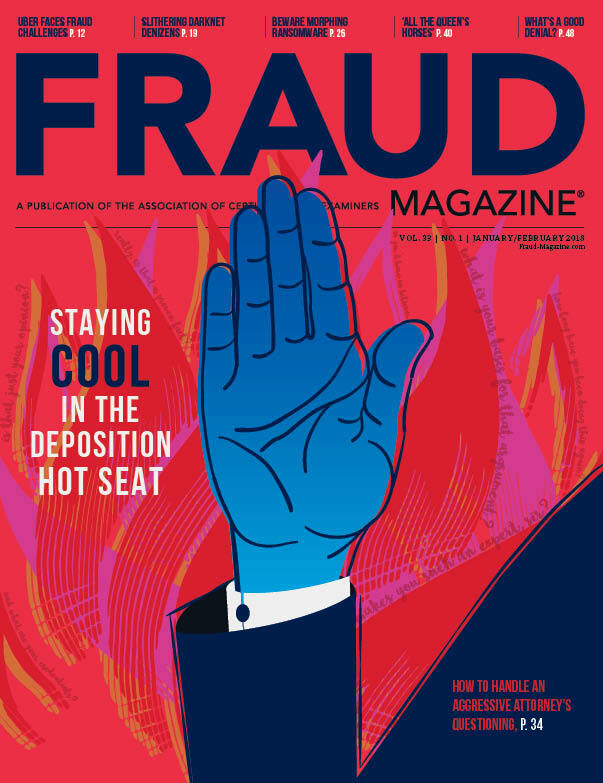 Learn the basics of the investigation component of this fraud examination. Mary Jane looked like many fraudsters: unremarkable. She was 40 years old; medium-length brown hair; short, unpolished nails; drab clothing. She was a faithful 16-year bookkeeper at ABC Manufacturing — a small, family-owned business. She and Tom, married since she was 19, had three children. However, Mary Jane was anything but ordinary. Actually, she was extraordinary because the company discovered that in six years she had casually stolen more than $400,000 and had altered checks and credit card statements to conceal her embezzlement. Ironically, her employer unwittingly paid her to rob them blind — it reimbursed her tuition for her college education in accounting and even gave her paid time off to attend classes. 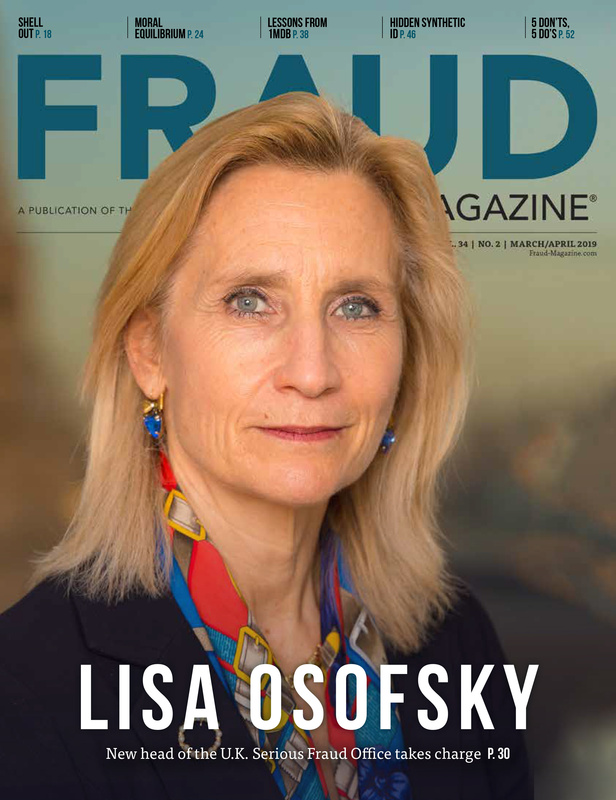 Her asset diversion fraud benefited from an overly complex accounting system, a lack of separation of duties and an inadequate management oversight — classic problems of a family company. 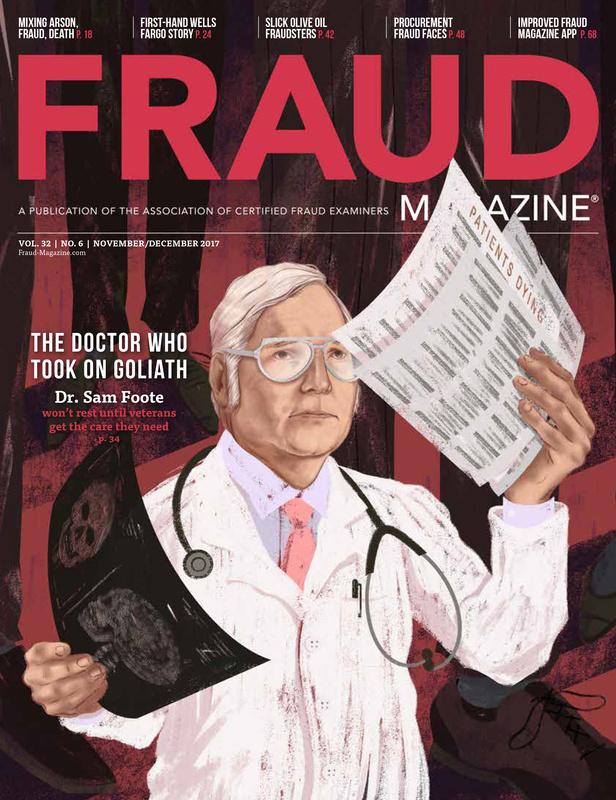 Here’s the story of Mary Jane, our fraud examination and how a small business painfully learned anti-fraud principles after it trusted a “normal” employee. The average value of property stolen per strong-arm robbery is $1,244 (the FBI’s “Crime in the United States”). 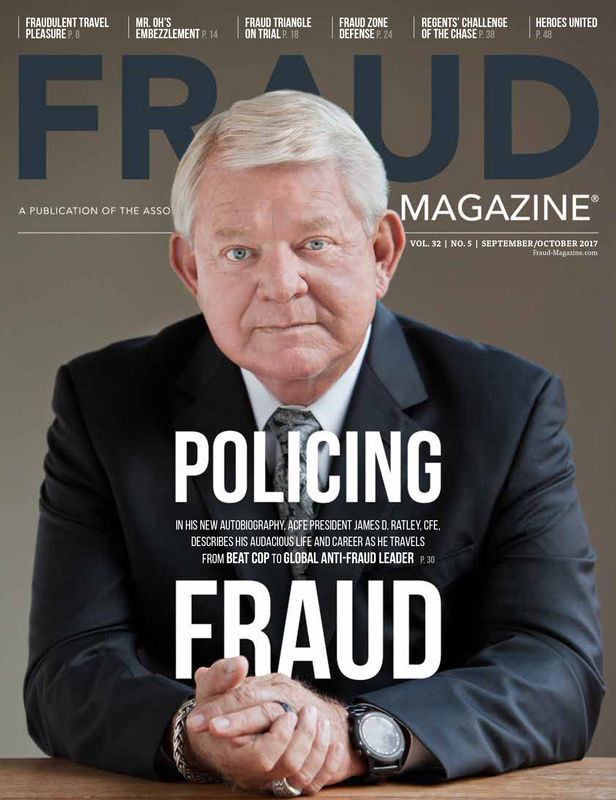 However, the median loss from an occupational fraud case is $140,000 (ACFE’s “Report to the Nations on Occupational Fraud and Abuse: 2012 Global Fraud Study”). The scary street criminal that ripped you off likely has a police record. But the person who embezzles from your company usually is someone you see every day and has never been arrested. It’s someone who has a spouse and kids, a college degree, appears proficient and always seems on top of his or her game. The worst part is it’s usually one of your most trusted long-term employees who’s betrayed your trust. After the company discovered Mary Jane’s fraud, our team of three CFEs interviewed witnesses, collected key documents, assisted the business in filing for and collecting its crime insurance coverage, provided information to the police and prosecutor, and presented several weeks of ongoing accounting and financial management remediation to the business. 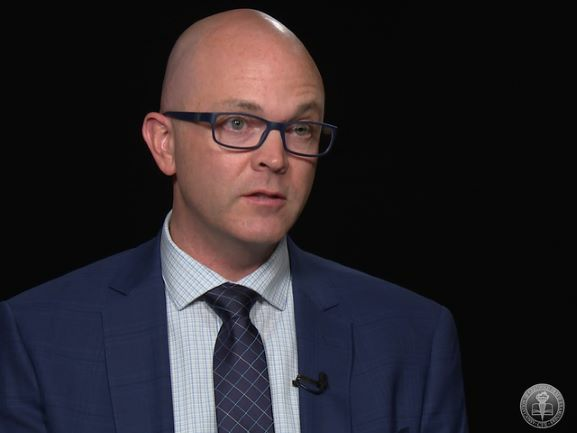 Red flags often are hidden in “silos” — managers and employees in separate departments might detect suspicious activities, but if they don’t communicate with each other then a fuller picture of possible fraud might not emerge. That probably happened at ABC Manufacturing. Here are the circumstances and red flags that led up to the discovery of this embezzlement. During recent tough economic times, the firm took steps to keep itself financially afloat, which included reducing staff and hours of the remaining employees. Everyone had to do more with less. Also, the business owner’s wife, let’s call her Sarah, went back to work in the family business to be in charge of all administration. Sarah first asked Mary Jane to decipher the Byzantine accounting system, but Mary Jane was no help. Many employees observed Mary Jane’s obstinance. Of course, if ABC Manufacturing had looked for these red flags in their employees’ behavior and conducted a fraud prevention inventory, it might have deterred some of Mary Jane’s damages. Mary Jane wasn’t answering Sarah’s requests for financial information and information about the accounting system. Sarah sensed that something was wrong. She spoke with a former company accountant, now long retired; he suggested she obtain some basic financial documents directly from the bank and credit card vendor. The company credit card invoices provided by the bank indicated multiple charges to a cable TV company and Western Union cash transactions. 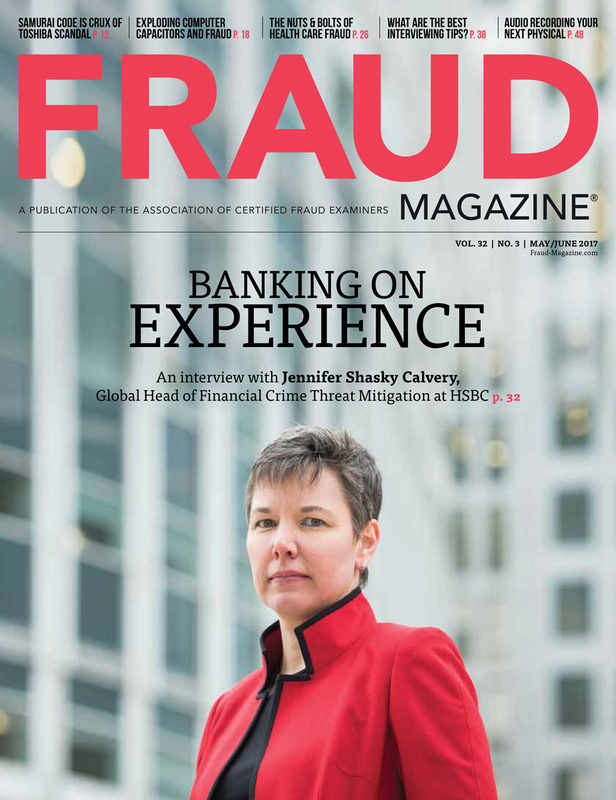 Cancelled petty cash checks provided by the bank were thousands of dollars higher than identical check number copies and information recorded in company cash disbursements files. An attorney referred the company owners to the licensed private investigation agency for which I work. 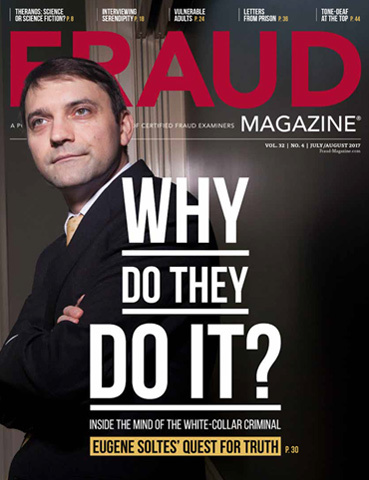 Our job was to investigate the alleged embezzlement, interview key employees and document the evidence. We identified two areas of asset diversion: check alteration and credit card fraud. Mary Jane used the general ledger to try to conceal these frauds. She also altered and cashed petty cash checks for amounts higher than the amounts indicated in the company check register. Mary Jane used a company credit card to pay personal expenses. She altered the credit card statements to exclude her personal expenses and made general ledger entries to asset accounts and prepaid items to further conceal the transactions and close the books. The accounting system’s insufficient separation of duties was a major deficiency. 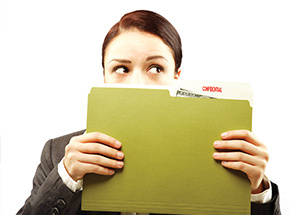 The use of one company credit card number for multiple employees invited irregularities. Mary Jane’s immediate supervisor had insufficient accounting experience and training to provide adequate oversight. Leave no stone unturned . . . In just more than one year the suspects had received almost $10 million in investor funds and then vanished without leaving a trace. Except for one little piece of evidence uncovered by the author. Outline of the lessons we can learn from the Olympus scandal that may improve internal compliance and ethical issues in our corporations.